Tasting Notes: Malibu Coast may be California’s newest American Viticultural Area, but they’ve already caused quite a stir in the winemaking community. Elliott Dolin helped to spearhead the establishment of this 44,590 acre AVA, where some 200 acres are currently under vine. 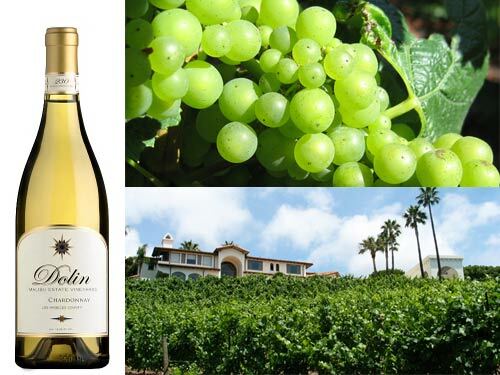 Dolin Malibu Estate Vineyard started off as a small backyard operation from husband and wife team Elliott and Lynn Dolin, but quickly emerged as a preeminent producer in the region. The employment of winemaker Kirby Anderson has only helped to improve an already impressive vineyard and has allowed the Dolin Estate to expand its operations to Central California. Nonetheless, their 2012 Malibu Estate Chardonnay is worth all of the commotion it has stirred up, and displays aromas of pears and sweet cream along with notes of apple. On the palate, it is well-balanced with lively acidity and flavors of apple, toasted oak and a long, silky finish. This Chardonnay is an excellent example of the Malibu Coast AVA and is only the beginning of what surely will be many exciting years and productions to come.